(*) indicates those classes that satisfy our adoption requirements such as No Place Like Home, Did You Know, Things I Wish I'd Known, A Parrot's Point of View, The Contented Companion or Caring for The Whole Parrot. These are comprehensive care seminars, one of which is recommended for all adoptions. 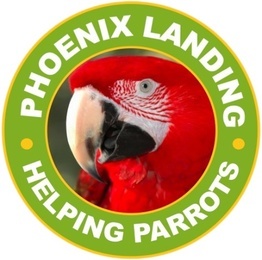 (**) The behavior workshops are especially important for those adopting the larger parrots, but are highly recommended for everyone who aspires to a positive relationship with their birds, from parakeets to macaws. Canceled: 14th Annual Luau, Meet Adoptable Parrots! Additional Maryland events will be scheduled soon.